The 44th MCM will take place on Oct. 27 in Arlington, VA and the nation’s capital. This annual event hosts 30,000 runners and more than 150,000 spectators. Entries are $180 plus a processing fee and are available to runners ages 14-and-older. 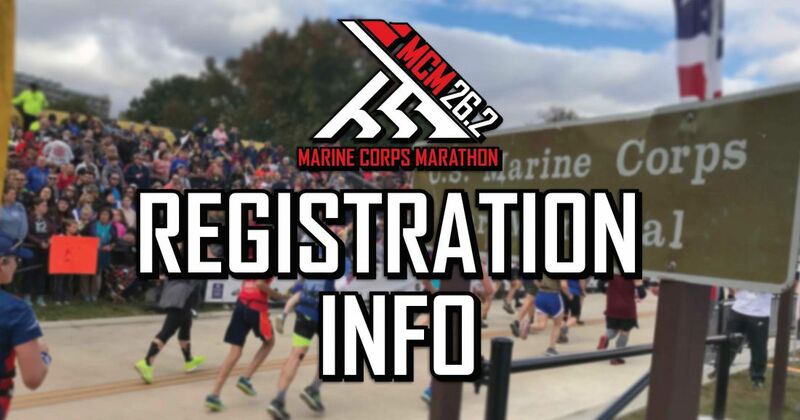 Runners who opted to defer their 2018 MCM entry to the 2019 event must re-register to run the MCM this year. Deferred runners will receive an email with re-registration instructions. Access to these entries are guaranteed through noon on March 12. This exclusive group of runners who have finished the MCM five or more times receive guaranteed access to the MCM annually through a special email invitation prior to the Lottery opening. Active Duty and Active Reserve members of the military can register early for the MCM and save more than 15 percent thanks to GEICO, proud sponsor of the MCM. This opportunity is open from noon on March 6 to noon on March 11. While the MCM appreciates everyone who previously served our country and the military families of those currently in service, this special program exists as a special offer only for individuals currently servicing on Active Duty and as an Active Reservist. Runners have the opportunity to register and secure a spot in the 44th MCM prior to the Lottery. Rush Registration begins at noon on March 19 and will close at 12:20 p.m. OR as soon as 7,000 runners have registered. Achieving this registration plateau would prompt Rush Registration to close prior to the planned 20-minute duration. Due to the volume of interest exceeding the field capacity, the MCM Lottery is necessary to give the maximum number of individuals the opportunity to obtain an entry. Runners may declare their intent to run the MCM by signing up for the Lottery from noon on March 20 to noon on March 26. All registered runners will be notified of their status through email on March 27. There are no fees associated with entering the Lottery and if a runner does not get in through the Lottery, the individual will not incur any charges. A limited amount of Four Star packages remain available. This is a bundled all-inclusive registration package featuring an option for one or two MCM entries; hotel stay at the Gaylord National Resort of two or three nights; event tickets including a private reception and the Carbo Dining-In; pre-event shuttle transportation; event day hospitality; and more. Annually, the MCM partners with numerous charitable organizations, who obtain blocks of entries to the marathon. Runners may choose to dedicate their MCM participation to a cause by raising funds and awareness for a specific organization. Causes range from military to health-related to individual welfare to international efforts. A list of organizations participating in this program will be posted on the MCM website on March 27. MCM registration is underway as several of these programs are now open. Runners may also choose to register for the MCM10K on April 24.